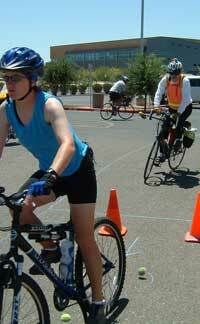 Do you know a beginner bicyclist age 16 and up who is fearful of riding on the road? Or could use some basic bicycle safety instruction – from bicycle fit to riding in traffic? Ready-to-Ride is a FREE class brought to you by the Coalition of Arizona Bicyclists and the Maricopa Association of Governments (MAG). The free classes for ages 16 and up will last for 3 hours. The classes will be overview on the basics of bicycling and riding on streets in traffic. The last 45 minutes of the class will be on your bike in the parking lot. Helmets are required. Can’t make it this week? Are you in another part of the valley? Check back at the ready-to-ride home page cazbike.org/r2r , for additional class to be posted soon; and sign up for our email list to be notified of future classes. December 8, 2012 1-4pm, downtown Tempe at the Tempe Transportation Center, 200 E 5th Street. Please note: this activity is not sponsored by the City of Tempe or the Tempe Transportation Center. Please visit free-ready-to-ride-classes to register.